Cursillo seeks to uplift Catholics in their faith through deepening three actions of the Holy Spirit: piety, study and action. The Cursillo movement is world wide with centers in most countries. In 1957 the first Cursillo in the United States was held in Waco, Texas, with a priest and two Spanish Air Force trainees as the key figures. In 1965, the first Cursillo took place in the Diocese of Green Bay and has been going ever since. Four Cursillos are held per year. The basic format of the Cursillo weekend has remained constant but as in all things, changes and updates have been made in the retreat format. In the Diocese of Green Bay there have been 200+ weekends held with over 7,000+ Cursillistas meeting the challenge of Pope Pius XII to penetrate our environments and bring the world back to Christ. 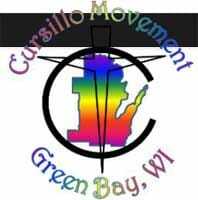 Learn more at the Cursillo Movement of Green Bay.